Anchorage Of Tarpon Lake Unit Two The SubDv. Hoyts A A Sub SubDv. The Tampa Bay area, located on the West coast of Florida is adjacent to the sunny Gulf of Mexico and numerous intra-coastal waterways. It consists of Pinellas, Hillsborough,Pasco and Hernando counties and covers the spectrum of multimillion dollar luxury waterfront homes to affordable condos and family homes. In addition, Tampa Bay has some of the finest golf and country clubs in the Southeastern United States. Come explore properties in St. Pete Beach, Pass-A-Grille, Treasure Island, Madeira Beach,Redington Beach, Redington Shores, North Redington Beach, Indian Rocks Beach,Indian Shores, Belleair Beach, Sand Key, Clearwater Beach and the entire Tampa Bayarea. Make this website your Connection to Pinellas & Hillsborough Counties if you are looking for a luxury single family home, condo, condo-hotel, luxury waterfront property, sailboat water property, beachfront condo, ocean front condo, gated golf course community, gulf view home, investment home or beach home along the Gulf Beaches of Florida's Tampa Bay area. I’m looking forward to meeting your highest expectations! Remember that homes in the Tampa Bay, St Petersburg Real Estate market appreciate faster than most other places in Florida. You can read more about the St. Petersburg Real Estate market in my Blog. Personalize your own custom free Florida MLS home search if you are actively looking for properties to purchase. Search currently listed MLS properties in the Mid Florida region including Pasco, Hillsborough and Pinellas Counties. Feel free to contact me if you are in need of a Realtor / Real Estate Consultant. 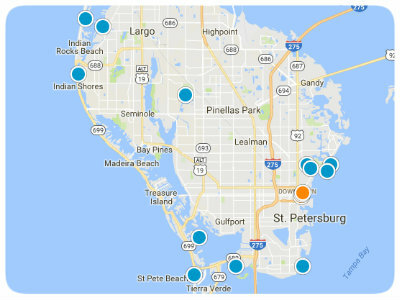 I hope the following Real Estate & Community links help you to familiarize yourself with our beautiful Saint Petersburg and Tampa Bay Beaches, waterfront properties, restaurants, schools, beach homes and Real Estate. St. Pete/Clearwater Beach has grown from a little retirement town with quaint homes and cottages to a booming metropolitan city with its own professional sports arena and growing downtown area. 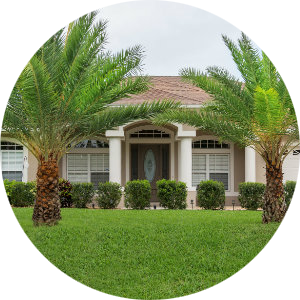 There is a wide selection of real estate for first time home buyers as well as second home or vacation home seekers; and best of all the city of St. Petersburg is easily accessible to and from the cities of Sarasota,Tampa and Clearwater. Whether you're a beginner or an avid sailor, the CCSC offers some of the most thorough and effective sailing programs in Florida. The "basics" about Clearwater FL and its Beaches Clearwater is a quiet Florida waterfront city with a community spirit that always seems to have something going on. In fact, the entire county of Pinellas seems to have this spirit...make it your home. Official City of St. Pete Beach Web Site Located directly on the Gulf of Mexico on the western edge of the Tampa Bay area, St. Pete Beach is only 45 minutes from Busch Gardens in Tampa and 90 minutes from Disney World, Epcot and Universal Studios in Orlando. University of South Florida Saint Pete The St. Pete branch of USF is the oldest and largest of the regional branches. USF St. Pete is recognized by the Southern Association of Colleges as an accredited college. Widely respected newspaper with FL Classifieds, Cars, Jobs, Homes, and local and world News. The community of Clearwater is located around Tampa Bay on the western coast of Central Florida. Clearwater Beach and Clearwater are within two hours drive of Orlando, Disney World, Universal Studios and the surrounding entertainment retreats. This is a popular beach resort area for families that come to Florida to see the Orlando attractions. Located in a southwestern neighbor of St. Petersburg, Fort De Soto Park's North Beach is one of two Bay-Area Beaches on Doc's Top 10 List. Also in the Top 10 National Beach ranking is Clearwater Beach. City Calendar of Events, Jobs, housing, areas of interest, city services and more. 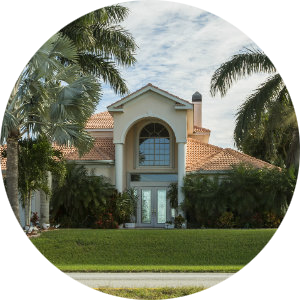 Find Real Estate, FLA Homes, beachfront and waterfront houses, and condos for sale in the Tampa Bay area, Clearwater, Gulf Beaches, St. Petersburg, and St. Pete Beach area including luxury waterfront estates. If you would like to utilize Home Finder in your search for your dream home in Tampa Bay, Florida you may use Home Finder for FREE and with NO OBLIGATION! Please fill out the form to activate your service at Tampa Bay area's best Real Estate website and put this powerful tool into your hands.